Kitchen Liquidators CANADA offers a full series of RTA kitchen cabinets for your project. Choose from a natural or man-made product and have it shipped to you. Beautiful high quality cabinets at fractions of what big box stores sell for. 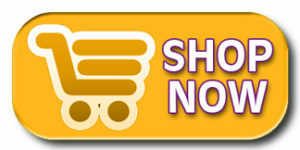 We are Canada’s online kitchen store with guaranteed lowest pricing for our all wood cabinets . 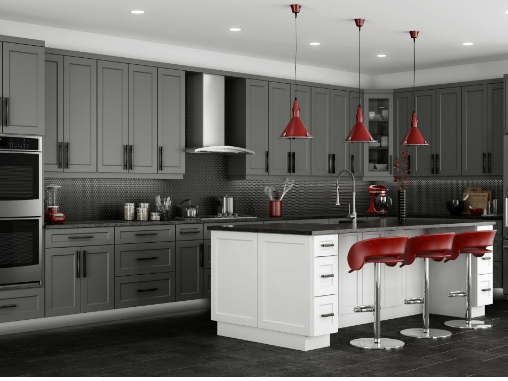 Please view our various series collections of ready to assemble kitchen cabinets below offered in “all-wood” or “melamine” cabinets. Vanity and bathroom sizes are also available from each collection. Please contact us if you have questions. Our BEST SELLING and most popular series! All wood ready to assemble kitchen cabinets. Made from North American maple, our PREMIUM series is available in a variety of painted or stained colours and door profiles to suit your project. These all wood kitchen cabinets have a 3 sided coloured finish (excluding backside) and a clear natural maple interior finish. Delivery times vary 2-4 weeks depending on stock & ship to location. 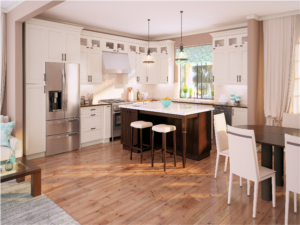 Our all wood VALUE series cabinetry is usually a limited selection so please check with our sales dept for stock status before placing your order! These all wood cabinets come in various wood species including maple, beech, oak etc. The VALUE series does not offer the same cabinet heights, styles and have less options than our PREMIUM series. Cabinets have coloured matched interiors and exteriors (excluding backside). 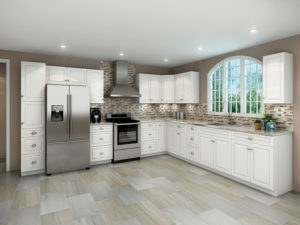 The PRIME series all wood kitchen cabinet line features all wood cabinetry and doors. These cabinets have coloured matched interior and exteriors (excluding backside). ***PLEASE NOTE: This series is recommended for the experienced contractor or professional only. Assembly instructions are not available for this series. Delivery times are estimated at 10-12 weeks.